I don't know how I have missed this news about one of the best Tablet PC Applications I have ever tested. Tablet Enhancements for Outlook 3 has recently been changed for a commercial application to a free for all software program that adds much needed tablet PC support to Microsoft Outlook 2003 or Microsoft Outlook 2007. It runs on a wide variety of hardware including Tablet PCs, UMPCs (Ultra Mobile PCs) or an Origami device running Windows XP Tablet PC Edition or Windows Vista. A short note to say that I have decided to unlock iHangman and release it as freeware. HangMan is one of older Paper Games known. According to Wikipedia Hangman is a paper and pencil guessing game for two players. One player thinks of a word and the other tries to guess it by suggesting letters. This is a version of the game prepared for UMPCs and Tablet PCs where the computer thinks the word and it's our task to guess it. The game comes with 3 lists of words, the main list of around 1000 words, the list of Capitals of Countries and the List of Countries names. You can create your own list of words in a TXT file adding one word per row, this feature makes the games virtually new every time that you add a new list of words to be used by the program. This game is a perfect tool to practice your handwriting with the Tablet PC recognizer. You can also use it as a learning tool to teach your kids new words making the learning process a big fun. 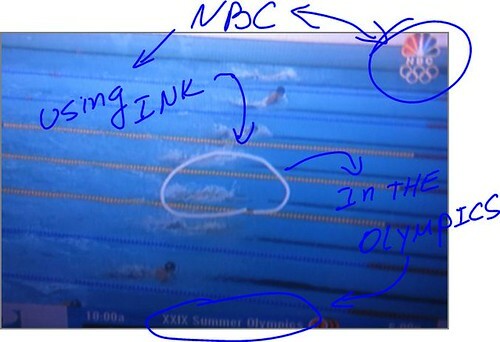 The above picture shows NBC using "ink" during a swimming competition in the Olympic Games! Cool Effect! Linux, kill it or save it. It's more profitable to kill Linux than to save it. And I'm going to prove you that. I posted two news about Linux at todoUMPC. The first one was quoting my friend Daniel's article "Why Mobile Linux is Doomed" and another one about Ubuntu Mobile published at Linux Planet. This last one was asking for help to make Ubuntu fully work in a Q1 Celeron UMPC. Guess what happened, the negative article about Linux is breaking traffic records while the positive one asking to work for a full version of Linux has been completely ignored. We, bloggers, are some sort of entertainers, we need traffic in our sites. What is the fun of having a blog if nobody reads it? Did you get my point? So, now do you understand why I said that is more profitable to kill Linux than to save it. And that's part of the problem with Linux. There is a lot of people defending it but just a few working on it. Kohjinsha SX3KP06MA / SX3WP06MA video review! Today the Kohjinsha SX series has been released to the market and already some video reviews started to appear in the web. Here is one of them. The SX series is the first UMPC that includes a DVD Drive. Fujitsu's Laptops, UMPCs and Tablet PCs are one of the best in the market, no questions about it, but at the same time Fujitsu's Drivers Support is the worse I have seen in a long time. To give you an idea, the Intel video driver for the P1610 listed at Fujitsu web site is from early 2007 and the latest Intel Driver for the 945GM is from June 2008. But wait a minute. 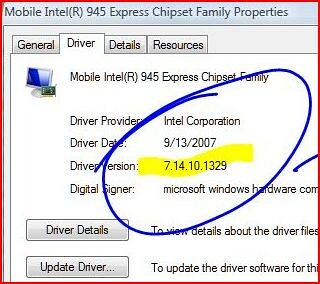 That latest driver from Intel does not work well in Fujitsu's P series. It causes a processor overload every time you turn on the unit or when you rotate the screen. That overload cost you around a minute of your time waiting for getting control of your tablet. Anyway... I found yesterday that there is a newer video driver at Fujitsu Siemens support web site if you look under P1620. The version number is 7.14.10.1329. I installed and I find it working a little better than the latest one listed under the P1610 which is version 7.14.10.1147. Oh... I updated the list of drivers installed on my P1610, in case anyone wants to compare. Our friend Daniel from ThoughtFix has published a very good article about Linux and why he think that it's doomed. And that made me remember and old Greek saying "Split and you will win". Too many flavors that the only thing they do is to get newbies confused. It's a shame. I will miss the excitement of mobile Linux systems. I hope some company is strong (or wealthy) enough to provide developers with the tools, distribution channels, and incentives to provide a rich application directory for their devices. Failing that, mobile Linux is doomed. The author of this article is right. I'm afraid that what you are about to see in this video is far from being "multi-touch" but I'm sure about one thing, it's awesome. Here is the latest. Alright, alright, it is not really "multi-touch", because you really don't touch anything. 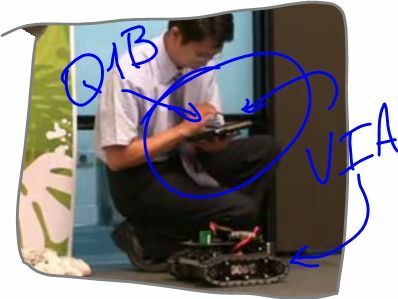 The system just senses where the presenters hands are and allow him to interact. Multiple people could be doing this too. 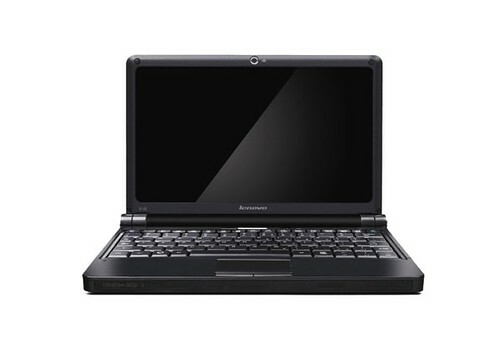 Lenovo is about to release a Netbook according to news published today at AVING USA. Adopting a 10-inch screen with 1,024*600(WSVGA) resolution and LED backlight, the IdeaPad S10 can be equipped with either 512MB memory and 80GB HDD or 1GB memory and 160GB HDD. Supporting 1.3M built-in camera and two USB ports, it comes with three different colors including black, red and white. 10 inches display is too big to consider this device a UMPC. I saw the numerous comments on your sites... and other sites... about the recent video we released comparing VIA Nano and Intel Atom HD video performance. I'm the guy in the video and I thought maybe I could send you a response as opposed to try and go around commenting everywhere and maybe address some of the questions people may have had. First off I'd like to say... Wow! We had no idea how popular or inciting this video was going to be.... and I'd like to say we certainly weren't trying to tell people how to watch video, or on what type of device to watch video on, or in what resolution. 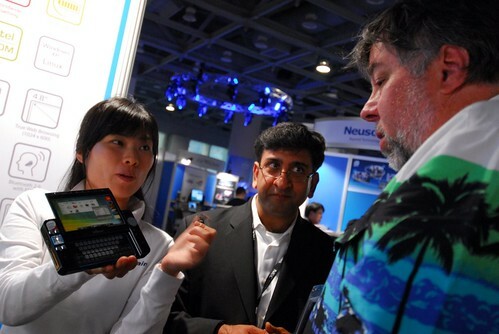 Also its great to see people so passionate about their mini-notes and the Asus EeePC! The relatively new mini-note category is important to VIA so we're really surprised and very impressed by the passionate interest. So video performance is a "visual" way to show off our performance. We chose a 1080p HD video to really stress the compared CPUs and we chose a VIA OpenBook prototype to plop a VIA Nano 1.3HGz processor into because its the closest thing we have to a comparable product at the moment that we are allowed to talk about (although that will change soon!). The prototype we used nicely demoed our pin for pin upgrade compatibility for our processors but is in no way was it optimized to run the VIA Nano processor the way our customers products will be when they are launched. So our customers VIA Nano based products in fact should have even better performance. Presently of course we have no way to do an exact apples for apples comparison (and to satisfy everyone I don't think there ever will be since so many other platform factors come into play) but we thought we'd take another mini-note using our competitors highest CPU sku (Intel Atom 1.6GHz) and play them side by side so people could see the difference for themselves. In this case, because we had one on hand, we used the Asus EeePC 1000H. Both machines in the test ran with 1GHz of ram, and both use 2.5" SATA hard drives. We purposely chose one of our lower sku VIA Nano 1.3GHz processor's to compare against Intel's highest sku to not only show its great performance but to help simplify people's questions about power consumption. Power consumption is something experts seldom agree on and your average consumer has very little idea about in terms of what it means to them in terms of overall power consumption or battery life, or their power bill. I would be very willing to discuss in an interview with you this subject if you thought people would be interested in how VIA approaches these issues. We're very convinced that our Nano power consumption is more than competitive to the Atom and we'd love to go into the lengthy discussion about how we see that. I saw some 901 test result videos added to your sites which use SSD drive and I believe also a Celeron CPU, it looks like the results may have been different. For this reason we tried to show in the graphics in the video and the title of our video that we were comparing CPUs. In fact this whole video controversy highlights the platform differences between VIA and Intel... on another day I would also love to do an interview with you regarding that very subject! I think a lot of the comments you can see people talking about how to properly tune your 1000H so it can play HD video. Our thinking process was... lets do this while running on batteries. The beauty of these mini-note product category is their mobility and most of us internally at VIA were thinking.. If I'm in a place where I could be plugged in (maybe at home) I'll probably watch 1080p HD video on a different device... like my HD TV. So to be fair in as much of a like for like comparison we ran both devices on batteries in "auto mode" that way the processors have the option to scale up their performance to meet the task if they need to. I don't know why but the Atom didn't when we ran our video. As to the video style... the music, the use of quotes from Intel. Well we did intend for the video to be a little dramatic and set a " product for product challenge" type of tone and we did want to show our philosophy about our product. For VIA the VIA Nano is a very important product, our confidence in our product and marketing approach certainly needs to reflect that. Sadly we don't have a 300 million dollar marketing budget or control over our customer/partners to drive our product into the hearts and minds of consumers. So this is one of the approaches we are taking. Intel predicts its shortages will end around the same time VIA Nano based products hit the market so I think its relevant for VIA to show this kind of performance video now so consumers can make better educated when products are readily available. I realize some Atom based products are available now of course. ...In the end what really matters is the consumer experience on devices and we're getting really close to a point where people will be able experience VIA Nano based devices of all sorts and see for themselves. In the meantime I'm open for dialogue and speaking to the community, as well as educating about our products. Today in the morning I reported about a video playback comparison between the new Nano and the Intel Atom processors. And today I got a comment at my blog pointing me to a new tests this time ran by our friend JKK using the Eee with Atom processor and the same video used by VIA on that comparison and the results are completely different. If we posted about the first video I think we should post about this second one too. To be fair. 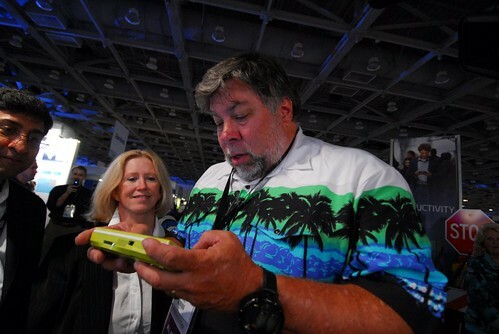 Now, I know JKK and I know that he is a master optimizing any device to get the best performance. I remember him cutting down the numbers of processes running on Vista up to a level that I never have seen on any of my UMPCs. That said, my guess is that VIA's Eee was not optimized at all and probably the Openbook was optimized. But I'm here speculating something that I should not do. Let's see what VIA has to say about this other video because I would like to hear an explanation. A few days ago I reported about a benchmark comparison between the Atom CPU and the VIA Nano where the last one was scoring higher. I have to confess that my previous experiences with VIA were far from being too good from the point of view of video performance. I had a lot of problems with my old Amtek T700 to get any kind of video playing well. Then I tested the OQO 02 where the graphics were a little bit better but still not there. But today I got this video from VIA where they put the VIA Nano under a test using a video that I know very well and that I have used in many of my tests. And the Nano passed that test without any hesitation. But that's not all. 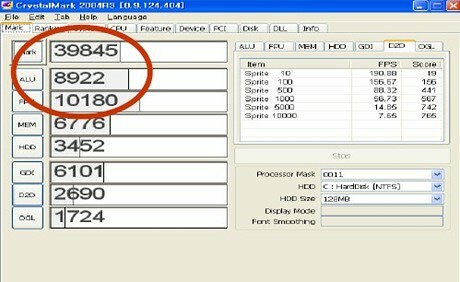 They put an Asus Eee PC with an Intel Atom processor under the same tests and check yourself the results in this video. I have to add that I liked this video. It's aggressive but fair. In the last two years Intel has done anything but to play with consumers using their reputation as main marketing tool. Wow! Yes, you can read this novel that has not been published yet in your Kindle for free if you look for it and download it in your Kindle. In another words, free if you use your Kindle to get it. 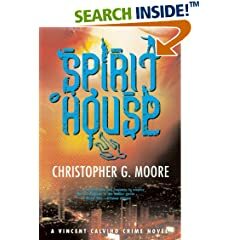 Amazon and publisher Grove/Atlantic from today will be giving away a free copy of the new novel Spirit House by Christopher G Moore to Amazon Kindle customers, beginning today Kindle owners can go to the Kindle page for Spirit House and download a free copy of the e-book via Whispernet.